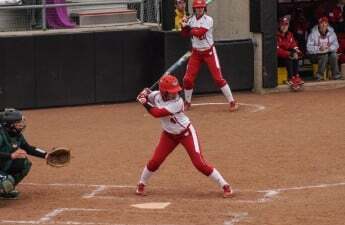 The University of Wisconsin Softball team (22-5, 1-2 Big Ten) kicked off their Big Ten season against Illinois (20-7, 2-1) over the weekend. The Badgers went 1-2 in Champaign, Illinois, by final scores of 15-6, 0-2 and 5-6. The Badgers dominated Friday’s opener, setting a positive stepping stone in their first Big Ten game of the season and their first game in 12 days. Top hitters for Wisconsin came from Taylor Johnson, who went 4-5, and Stephanie Lombardo, who had five RBIs and sealed the game for the Badgers with a grand slam in the sixth inning. The win from the circle was awarded to Kaitlyn Menz after pitching five innings allowing six hits, three runs and four walks while striking out four, bringing her season ERA to 1.46. Saturday’s game, on the other hand, was a pitching duel between Wisconsin’s Haley Hestekin and Illinois’ Taylor Edwards. Hestekin pitched all six innings for the Badgers, and Edwards pitched all but two outs for the Illini. Both pitchers put up impressive stat numbers — Hestekin allowed seven hits, surrendering two walks and punching out two Illini hitters, while Edwards gave up just four Badger hits and one walk to go with two strikeouts. At the end of the day, Edwards was too strong for the Badger offense. Wisconsin was held scoreless for the first time this season, while the Illini offense put up the two runs they needed to prevail. 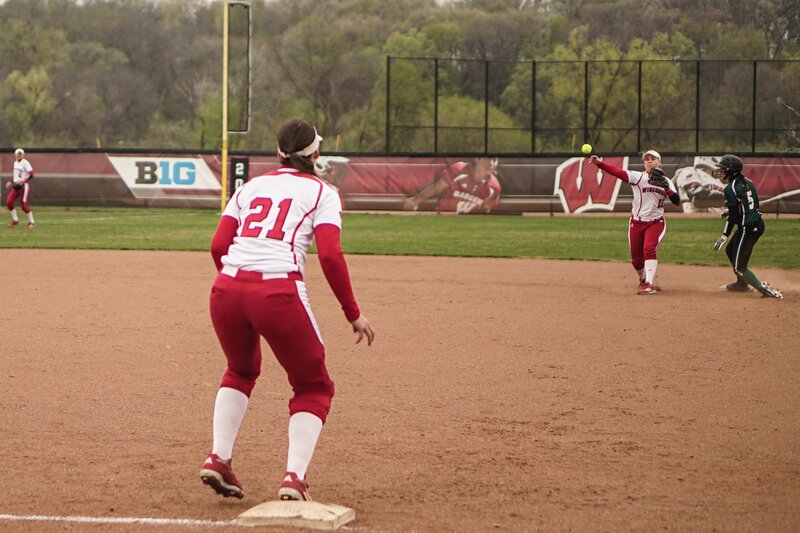 The Badgers were again barely edged out by the Illini in Sunday’s series finale. Jolie Fish started all scoring with a home run in the second inning, and the Badgers tacked on two more in the third thanks to a single by Caroline Hedgcock and another hit from Fish. 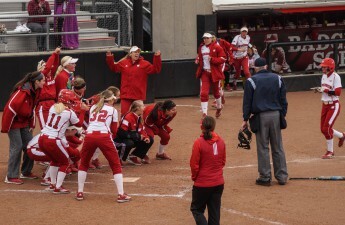 The Badgers held a 5–3 lead going into the bottom of the seventh inning, but Illinois put up three runs with two outs in the bottom half of the seventh to walk-off the Badgers and earn the series win. Menz took the loss in the circle for the Badgers. Unable to close out Sunday’s game, her season record drops to 8-2 as the Badgers lost back-to-back games for the first time this season. Wisconsin will be back in action for their home opener and a doubleheader with the University of Northern Iowa on Tuesday. UNI (13-11, 4-2 Missouri Valley Conference) is a team who kept up with Illinois as well, losing 10-9 to the Illini earlier in the season. For the Badgers to prevail, they will look to get their offense back on track and produce more power-hitting runs as they demonstrated earlier this season. UNI’s team ERA is a sky-high 5.04 compared to Wisconsin’s 1.52. Wisconsin pitchers will have to watch out for UNI’s Sammey Bunch. Bunch is hitting a team best of .400 and is one of only four Panthers to play and start every game so far this season. UNI will look to her for leadership and hope to provide an offensive spark for the Panthers — something Wisconsin will look to prevent. The games start at 3 p.m. and 5 p.m. Tuesday from the Goodman Diamond in Madison. Live stats can be found on uwbadgers.com and BTN Plus.